These simple pear-shaped 'big drop' earrings project a fashion forward chic. 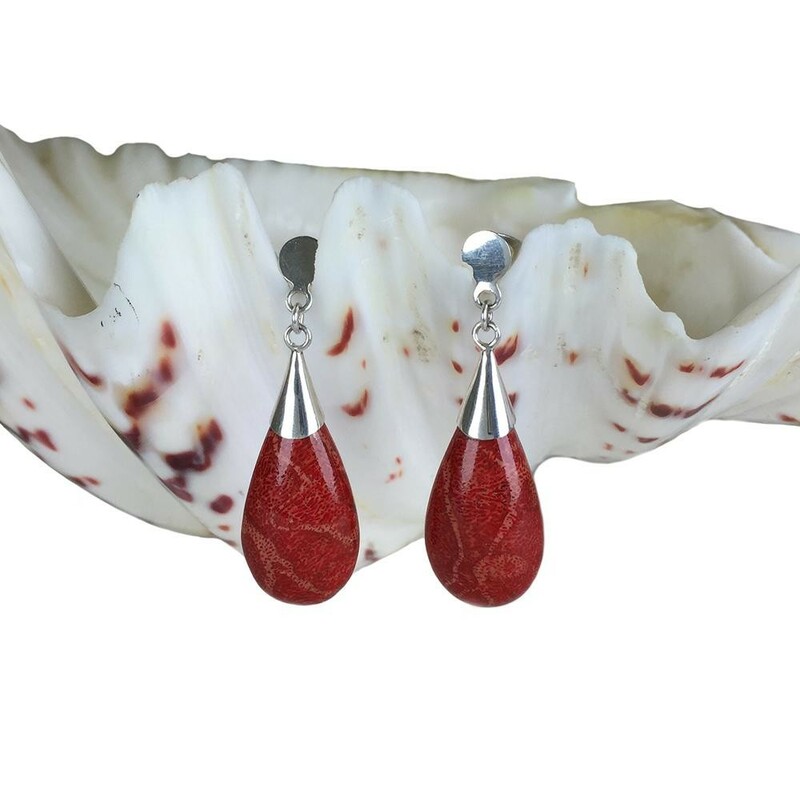 The deep red color of the natural coral material will match with ease to any red dress or pair of pants in your wardrobe, or even to a little black dress. All metal components have ... Read more. These simple pear-shaped 'big drop' earrings project a fashion forward chic. The deep red color of the natural coral material will match with ease to any red dress or pair of pants in your wardrobe, or even to a little black dress. All metal components have been fabricated from sterling silver. Handcrafted by artisans from Bali.